of business among other uses. The tenure of the loans is generally up to two years. (ii) Wholesale Mortgages: This includes various structured financing solutions for finance to developers for real estate projects under construction, which constituted 35.46 % of the Company’s total loan book as at March 31, 2018. (iii) SMEs and others: This includes credit facilities and short term loans to SMEs for meeting their business requirements, which constituted 7.70 % of the Company’s total loan book as at March 31, 2018. (iV) Loans against securities: This includes loans to investors against their existing portfolio of investments, which constituted 21.00 % of the Company’s total loan book as at March 31, 2018. (V)Retail Mortgages – Loans against Property: This includes loans offered to self-employed individuals for business purposes against a mortgage of residential or commercial property, which constituted 6.67 % of the Company’s total loan book as March 31, 2018. (Vi)Agri Credit: As a part of agricultural value chain services, we extend short term finance (usually for a period of three to nine months) against Agri commodities inventory stored in warehouses managed by the sister concerns of the Company, which constituted 4.02 % of the Company’s total loan book as at March 31, 2018. Total income and profit after tax (PAT) of the Company for the financial year ended March 31, 2018 was Rs.30,600.27 million and Rs.4,620.47 million, respectively. The Company’s income from operations witnessed a CAGR of 39.32% from Rs.8,122.76 million in FY 2014 to Rs. 30,600.27 million in FY 2018 and PAT witnessed a CAGR of 30.35 % from Rs. 1,600.44 million in FY 2014 to Rs. 4,620.47 million in FY 2018. The loan book of the Company has witnessed a CAGR of 37.84% from Rs. 60,959.79 million in FY 2014 to Rs. 220,081.23 million in FY 2018. Issue Size: ₹ 2000 Cr. ECL Finance Limited NCD Company Ltd Ratings (i) CRISIL: These NCD issue are graded with CRISIL AA/Stable for an amount of up to ₹ 20,000 Million dated June 13, 2018. (ii) ICRA : These NCD issue are graded with ICRA AA/Stable for an amount of up to ₹ 20,000 Million dated June 14, 2018. Conclusion: The rating of the NCDs by CRISIL and ICRA indicate that instruments with this rating are considered to have a high degree of safety regarding timely servicing of financial obligations and carry very low credit risk. ECL Finance Limited share has given around 25% return in the last one year. The Company is financially strong. So no point of worrying in applying this NCD. Why one should apply in this?? 1. It is a secure NCD, that means your money is insured against the asset of the company. 2. The Equity market has given negative returns in the first 6 months of FY18 and next 6 months too are looking worrisome for equity investment. So NCDs rate of interest above 9% is not that bad. 3. For an investor who does not want to take the risk of Equity market and finding FDs rates low. So they should definitely apply in this. Now investors must be thinking why companies raise money via NCDs. The answer is last month the RBI has increased interest rates by a quarter for the first time in the last four and half years which has increased the borrowing cost of ECL which is at 9.8% now. So that is why the company is looking towards raising fund from the market at lower rates. 1. 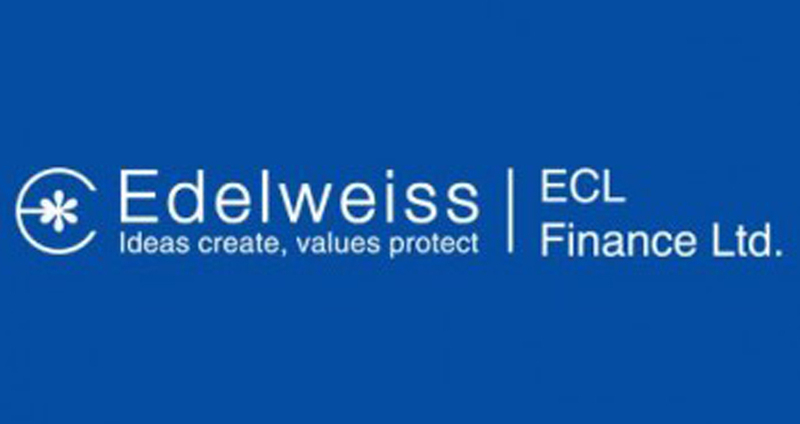 The non-banking arm of the Edelweiss group is raising Rs 2,000 crore by selling retail bonds amid expanding credit demand. The company aims to lend more to small businesses and the housing sector. 2. NCD is offering interest rates in the range of 9.45-9.85% with 3, 5 and 10-year maturities which are opening on 24 July 2018. 3. Three-fourths of the money raised will be spent on servicing existing debts, and expanding retail, loan-against-property, mortgage and SME (loans).